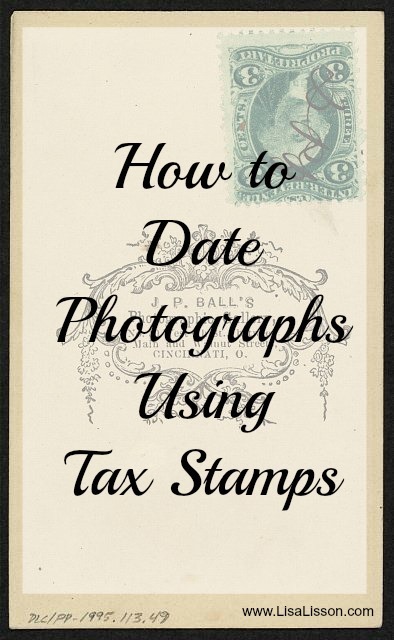 How to Date Photographs Using Tax Stamps | Are You My Cousin? 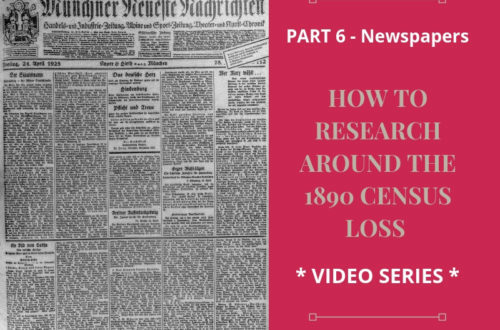 Have you gone through your ancestors’ photographs? Have you found any with a stamp on them? If so, you can narrow down the date the photograph was taken to a narrow point in time. Known as The Sun Picture Tax, the government charged a tax on photographs from 1 August 1864 to 1 August 1866. The amount of tax per photograph varied based on cost of the photograph. Tax stamps were most commonly for 1, 2, or 3 cents. The popular cartes des visites (CDV) were among those photographs required to have tax stamps during this time period. One cent stamps began being charged for less expensive photos from March 1865 to 1 August 1866. After 1 August 1866, this tax law was repealed. But why did such a tax exist? This was a revenue tax designed to generate money for the government as the long Civil War continued to be fought. Photographers were to charge this revenue tax on photographs, daguerreotypes and ambrotypes. Once the customer paid the appropriate tax, the photographer placed a stamp on the photograph, initialed it and dated it. This essentially canceled the stamp and showed the tax paid. 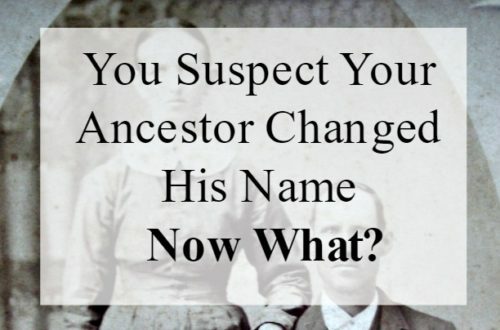 What genealogist would not do the genealogy happy dance to find a specific date on an ancestor’s photograph? Sometimes, the researcher is not always so fortunate. 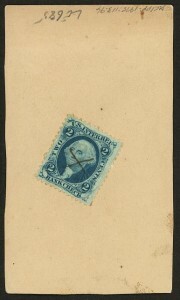 The tax stamp may be present, but have no date, simply an “X”. Photographers were human and took shortcuts. Simply writing an “X” was simpler and quicker. Over the years, the stamp may have fallen off leaving a darker square where it was. 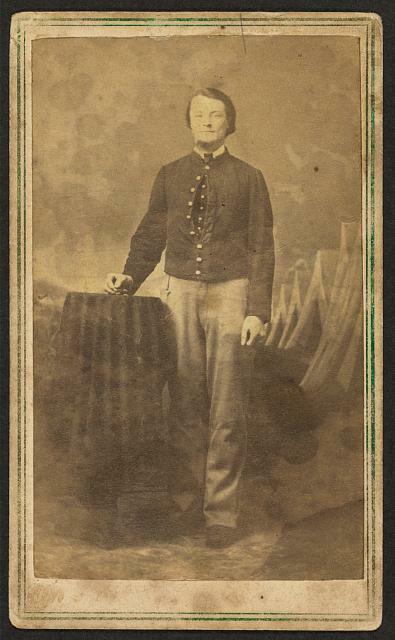 While this instances do not provide an exact date for the photograph, the existence of the stamp (or the outline) does give the researcher a time period for the photograph. 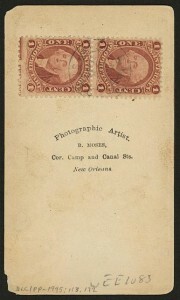 Photograph tax stamps were different colors based on their denominations. Green – 3 cent stamps were green. Photos requiring this stamp cost 25-50 cents. Orange or Blue – 2 cent stamps were either orange or blue. Photos requiring this stamp cost 25 cents or less. Red – This rare 1 cent stamps were red and only used from March 1865-1 August 1866. Photos requiring this stamp cost less than 10 cents. 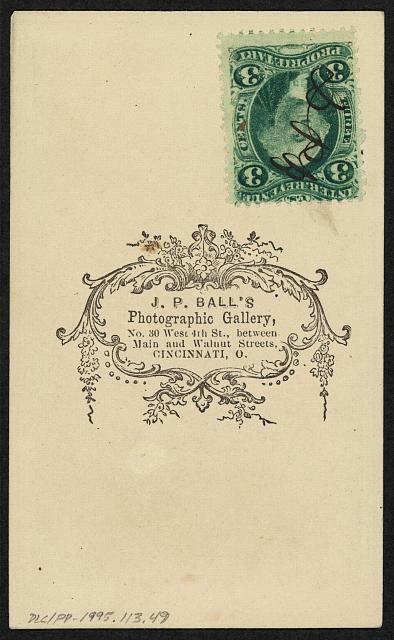 Red – The 5 cent stamp was used on photographs selling for 51 cents to 1 dollar. Photographers were obviously very much against this taxation. With war-time inflation and the rise in the number of photographers’ studios, an added tax raised the cost of doing business even more. I have given you the basics on the tax stamps and identification of your photograph’s time period above. 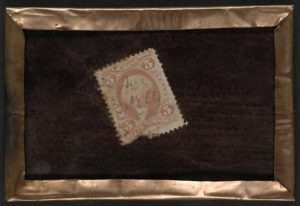 If you are interested in reading more about the tax stamps during the Civil War you will find the following websites very helpful (and interesting!). 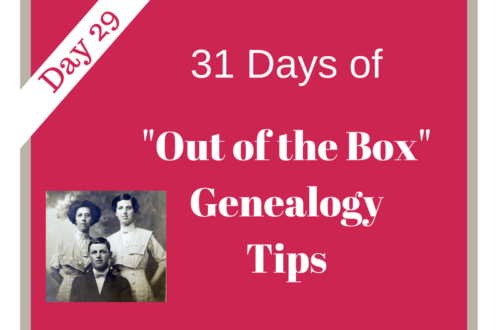 Have you found a tax stamp on any of your family photographs?